Nights of Operation: September 28-29, October 5-6, 12-13, 19-21 and 25-31, 2018. (16 nights) Opens at 7 p.m. 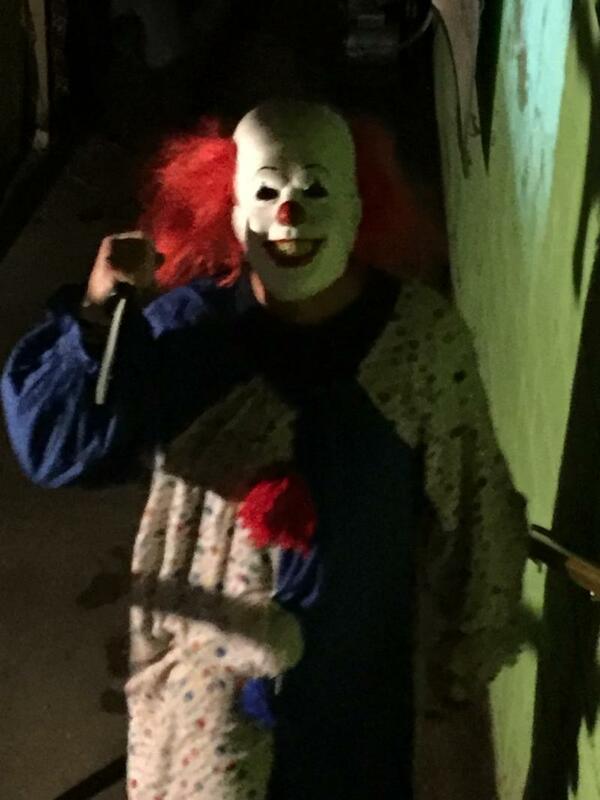 Details: Des Moines’ oldest haunted house returns for its 35th season of screams. As other haunts embrace blood, gore and heavy metal, Linn’s continues to focus on classic suspense, pitch black hallways, crawl ways, jump scares and maybe some chainsaws. This year, expect an updated scene or two. Just be prepared for long lines on peak nights. Three generations of fans drive for hours each season to laugh and scream their way through this creepy supermarket basement. 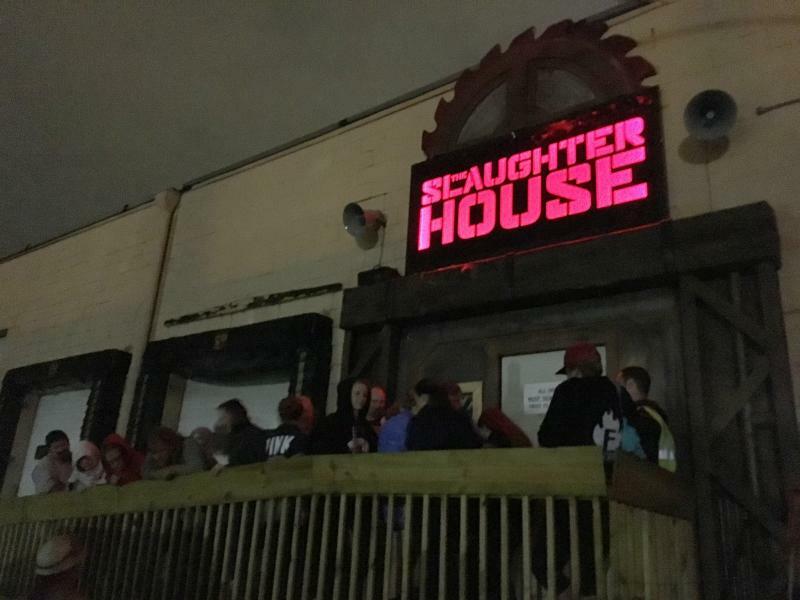 There’s a reason this haunt has won multiple awards for “Best Haunted House” over the years. Nights: October 5-7, 11-14, 18-21, 25-28 and 31, 2018. (16 nights) Opens at 7 p.m. Nights: October 5-6, 12-13, 18-21, 25-28 and 31, 2018. (13 nights) Opens at 7 p.m. Admission: $25 for a Pick Three Pass, $30 for a Park Pass; $45 for a VIP Pass. Buy online and use code DMHH18 to receive $2 off a Park Pass. Details: Sleepy Hollow remains one of the largest haunted scream parks in the region, offering multiple haunted houses (Castle of Blood, Chaos, Freakshow, Nightmare Estates, and Twisted Tales: The Next Chapter) and the new ToxiCity zombie laser tag attraction. There are also several bonus attractions such as Club Blood and 13 Gates Maze. For the first time, a VIP Pass will be offered that gives you priority access to all the haunted houses. And, for those brave enough, Freakshow is going to offer a very unique experience: the option to be touched! (What could possibly go wrong?) There will also be food and drinks available. Details: Billed as “The Worst Sleep You’ll Ever Pay For,” Adventureland enters the Halloween market with a rather unique offering. First, it is 21 and older only. Second, while it will contain a “haunted attraction,” it is mostly a night of entertainment at Adventureland Inn. It will feature Brad Seidenfeld and Tony Bohnekamp from 7-9 p.m., Dueling Pianos from 8 p.m. to Midnight and Gimikk from 9 p.m. to Midnight. There is also “epic event entertainment” including Insphyre (a fire-based performance). 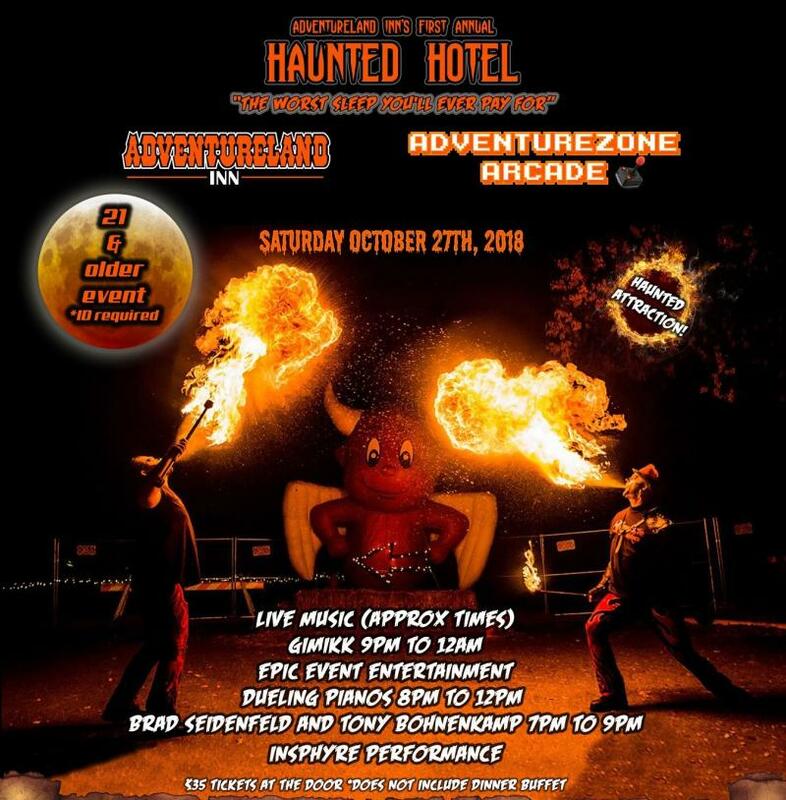 The $200 hotel room packages include access to the courtyard and pools, a Halloween dinner buffet, costume contest with prizes (including an Adventureland season pass), a $5 credit at the Adventure Zone Arcade, and breakfast at Spectator’s Sports Bar and Grill. At $350, you have all of that, plus you get to stay in one of only six themed rooms. At $500, you can stay in one of only four super haunted rooms where you have to sign a waiver and they try to scare the heck out of you… let the games begin! 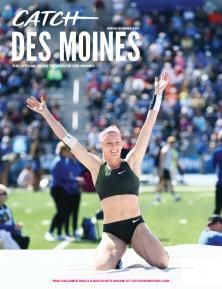 Greater Des Moines also features many home haunts, yard displays and other haunted happenings. Be sure to check back for updates as the season progresses. If you somehow manage to survive all that Greater Des Moines has to offer, a short road trip to Madrid will let you ride the Terror Bus to the newly returning Tormented Souls Haunt. Up in Ames you can help the Haunted Forest celebrate its 20th year. And, Baxter invites you to trek through their community fundraiser Trail of Terror. ​Sometimes the scariest thing about the haunts is the long lines—especially on the Friday and Saturday nights around Halloween. However, if you don’t wish to spend the extra money for a line -skipping pass, simply choose an earlier weekend, or an off-peak night (such as a Thursday or Sunday). A two hour line on Friday might be a 10 minute wait the evening before. Remember that many haunts are outdoors, or could be indoors but have no covered waiting areas. Check official websites and/or Facebook pages for any weather related delays or closings before driving out. Appropriate clothing and footwear is also a must. You might find yourself trekking through sand or mud, crawling or just running from two insane clowns. Be safe. Strobe lights, loud audio, fog machines and other theatrical effects are found in many attractions. Be aware of any physical limitations you might have, and contact the haunt operator before your visit to ask any questions. 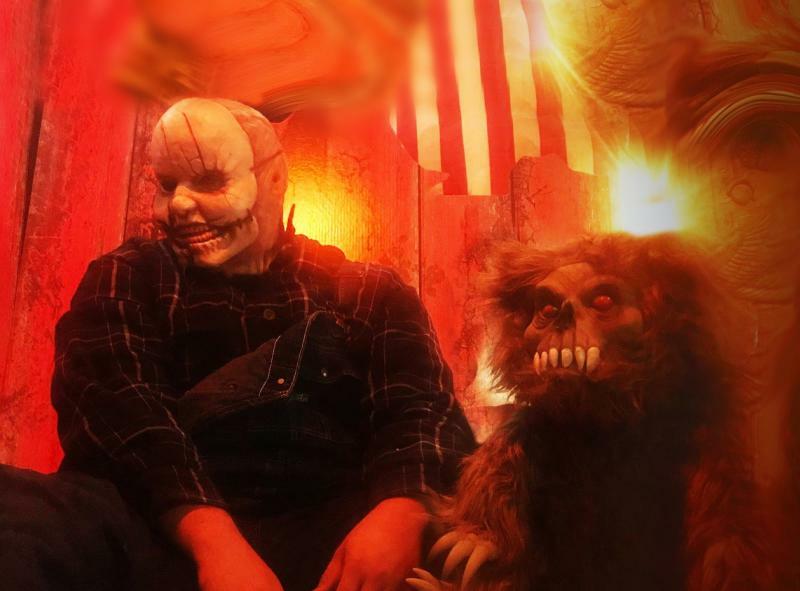 Allen Huffman started his haunted house index website in 2010, and has been creating special effects for area haunted houses since 2005. As a life-long fan of haunted houses, he has visited many of them across the country. He is very proud of the offerings our local community has each season.